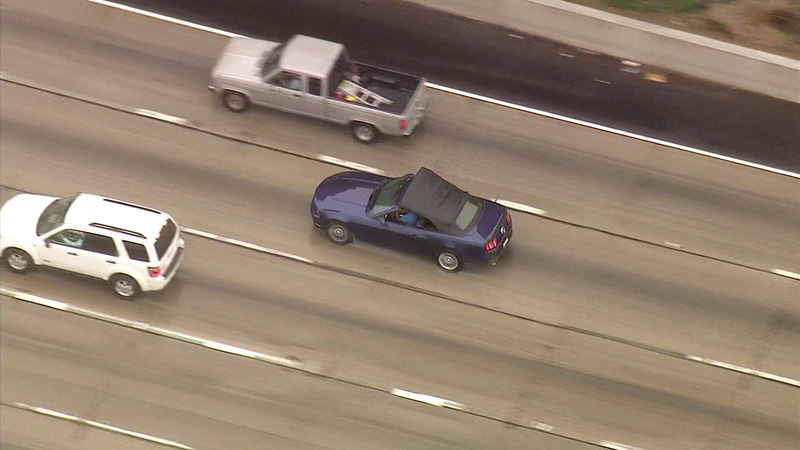 Police chase two burglary suspects in a Ford Mustang through Los Angeles on Thursday, April 7, 2016. 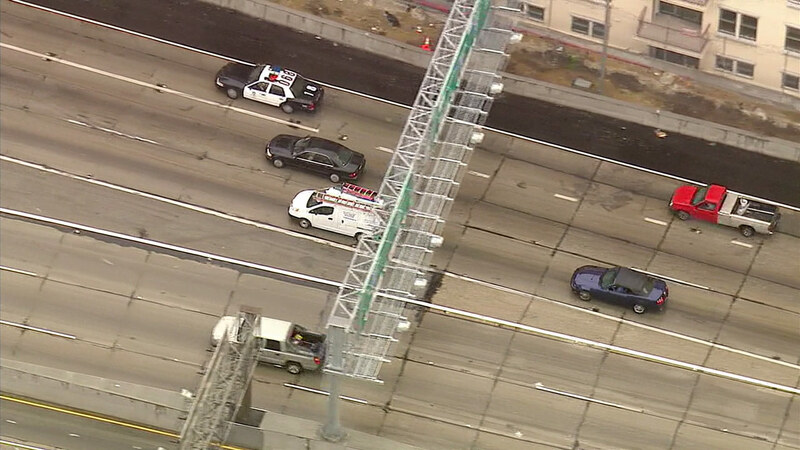 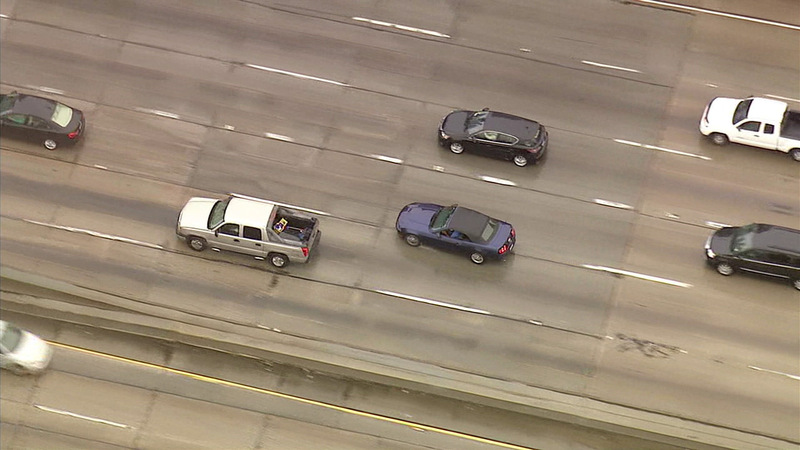 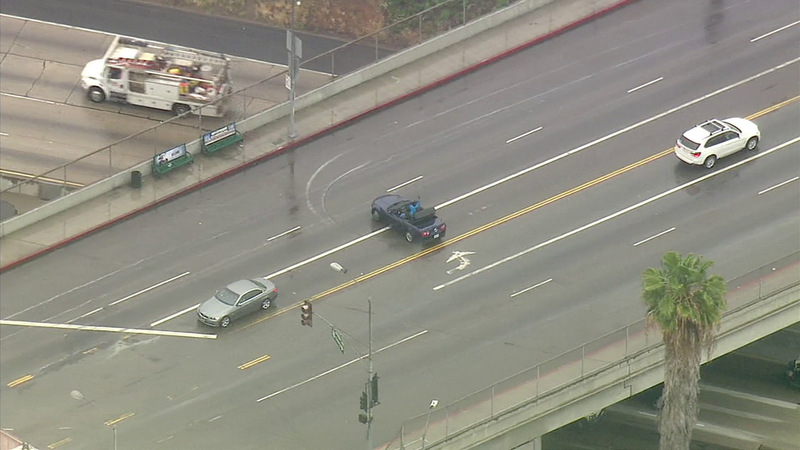 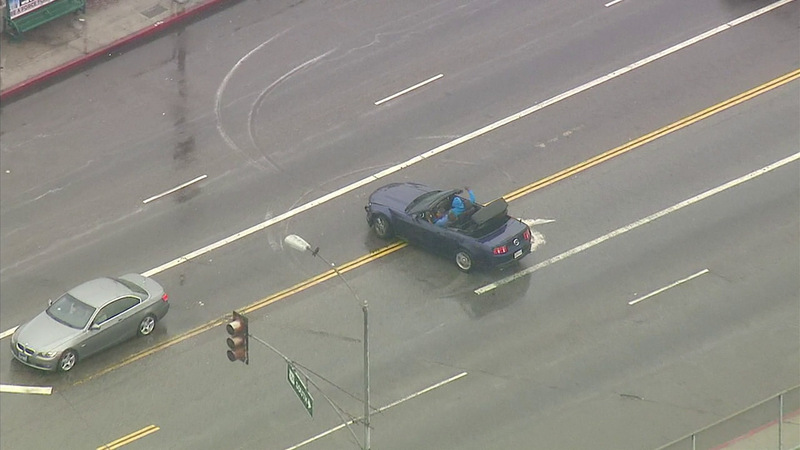 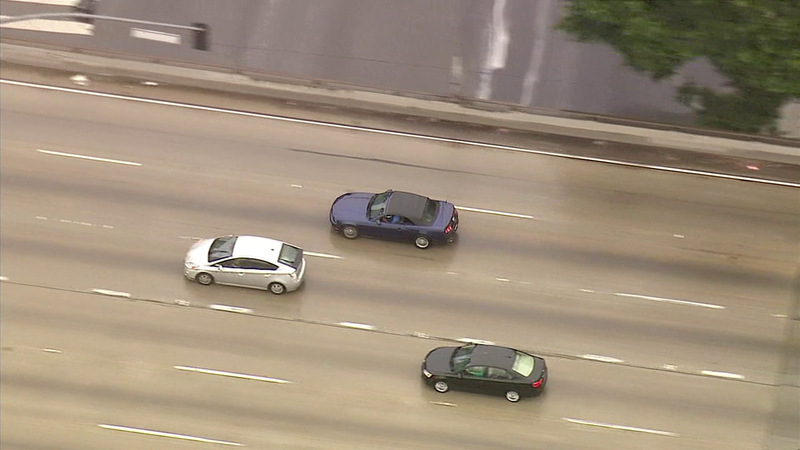 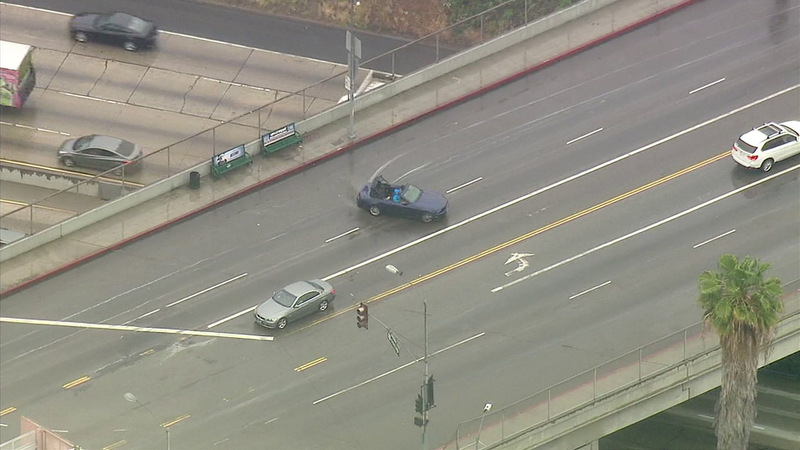 LOS ANGELES -- Two burglary suspects in a Ford Mustang led officers on a bizarre high-speed chase through the Los Angeles area Thursday afternoon. 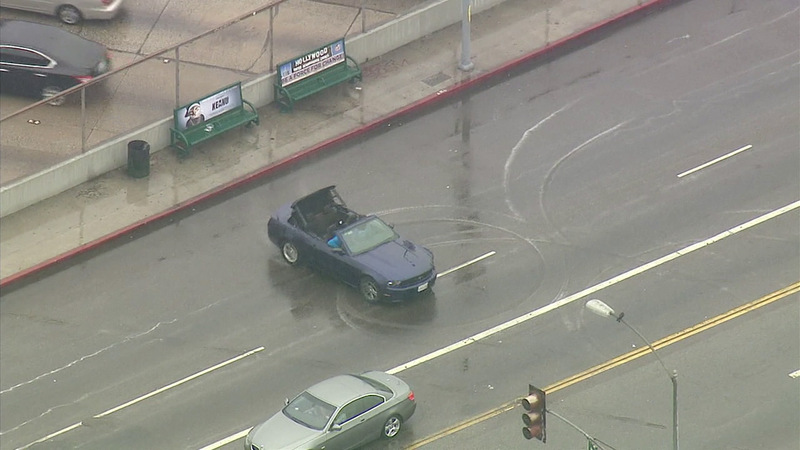 Authorities received a call regarding a burglary in Cerritos and cruisers began following a blue Mustang convertible, which at one point began spinning donuts in the middle of a street. 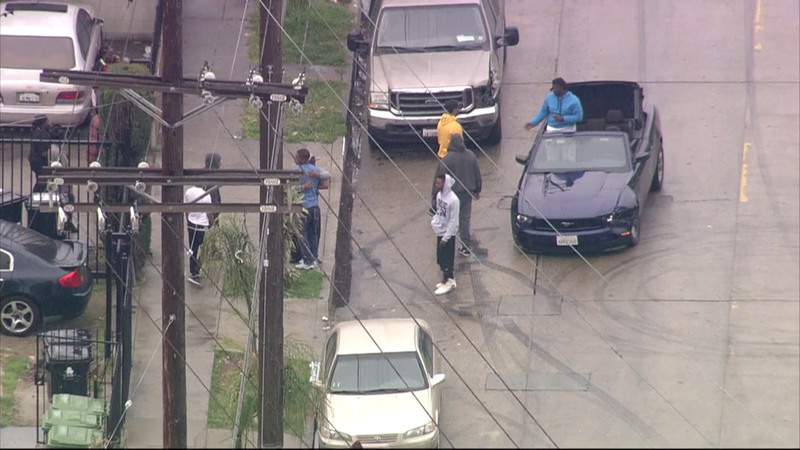 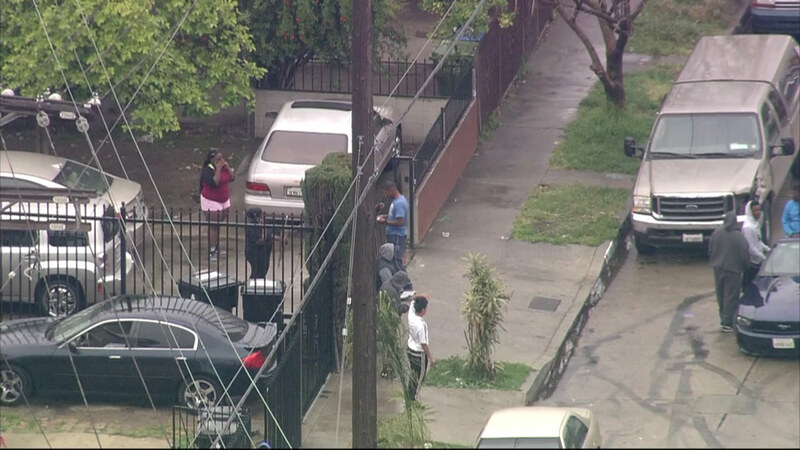 Toward the end of the chase, the suspects pulled over in a neighborhood and were greeted by people giving them handshakes and hugs.